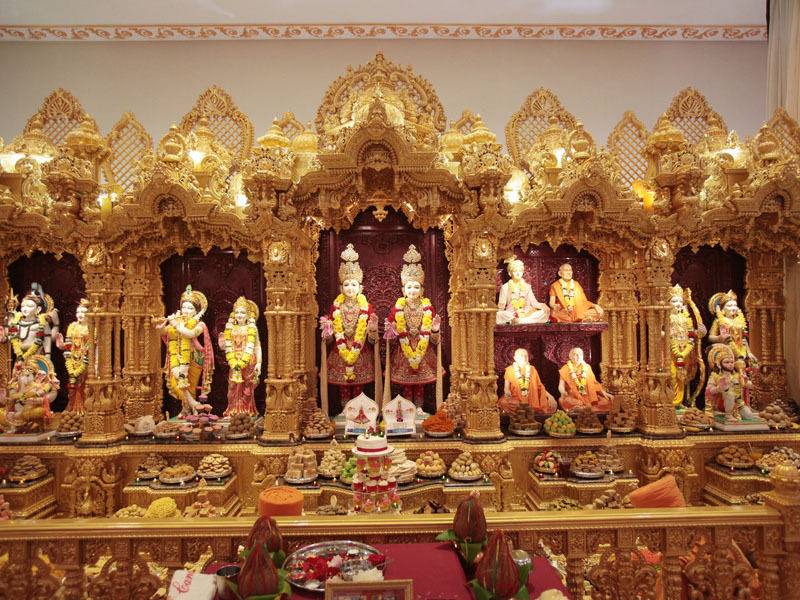 The London-based charity, BAPS Swaminarayan Sanstha UK built and funded the new Shri Swaminarayan Mandir on Gipsy Lane in Leicester. If you want to go for Murti Darshan or Abhishek, then first of all check the timings and rules of temple. 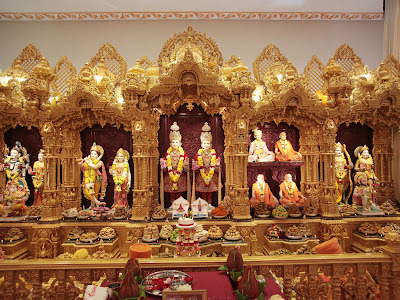 It built entirely using traditional methods and materials and a part of the Bochasanwasi Shri Akshar Purushottam Swaminarayan Sanstha organization and was inaugurated on Sunday 9 October 2011 by Pramukh Swami Maharaj. The project is done after nearly three years of tireless efforts by hundreds of dedicated volunteers and devotees. The temple is primarily a place of worship but it also plays an important role in inspiring and reinforcing family values. This new temple at Leicester is not just the physical part of the city but the spiritual part of the city. Please as a visitor be sincere at the Mandir because it is a house of God. Also follow the rules in Haveli and the Exhibition. You can visit official website www.mandir.org for know about timing of Regular Satsang Assemblies and other information.